In public relations, we often describe our approach to earned media this way; what we give up in editorial control we make up for in credibility. We can’t always persuade a writer to compose a story exactly the way we want, but a publication’s imprimatur and its digital domain authority can more then make up for that. We work to control the way our client is perceived in public through strategic counsel, careful planning, message development and interview preparation. So why do so many in the public eye get the “optics” so very wrong? Here are three ways optics caught up with some boldfaced names this week. Shkreli’s comments aren’t merely derogatory; they may damage his case with jurors, while reinforcing his reprehensible reputation. We understand the fascination with the “bad-boy” CEO; there’s sometimes a rakish charm thing there. But of late, with these antics and those of the recently booted Travis Kalanick, there is really no upside. 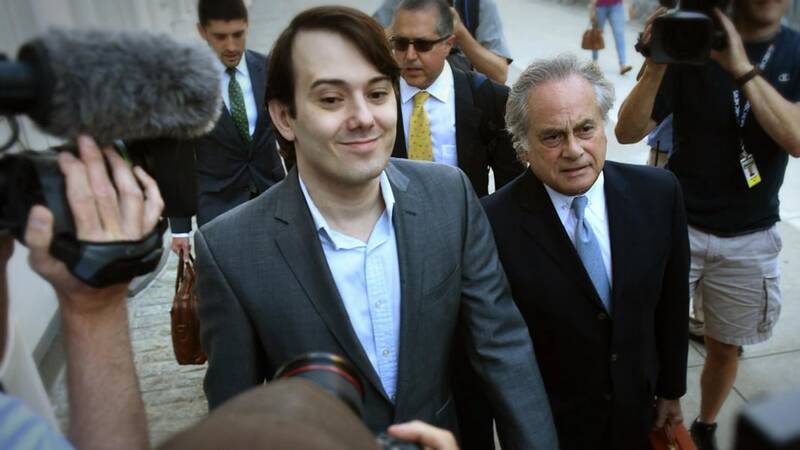 Unfortunately, reputation rehab seems like a bridge too far for Shkreli. Taking the bully pulpit too literally. The definition of negative optics! Some people really make it too easy. 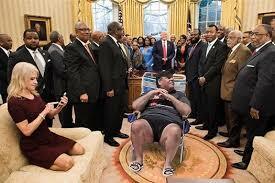 How could New Jersey Governor Chris Christie possibly have thought a day at the beach would go over well with his constituents when most of those beaches are closed to the public due to a state government standoff? He already enjoys a seriously low approval rating of 17%. To compound the arrogance of the images of him en famille on an otherwise empty beach, Christie said, “I don’t apologize for it. I don’t back away from it.” This is the kind of attitude the public and press pounce on. And they have, with Twitter and mainstream media having a field day with negative remarks and brilliant memes like this. For some, no amount of PR advice will help. Asked what he thought about the kerfuffle, Christie said, “I think my poll numbers show I don’t care about political optics.” It’s true. Christie has built a career as a bully – at one time, for good, going to bat for his state during Hurricane Sandy. But the attitude does him a disservice now and one can’t help but wonder if his potential second act as a sports broadcaster will be enough to satisfy his ego. Donald Trump’s need to lash out at those who criticize him was fine when he was a media-hungry NY businessman. But as the leader of the country, again, optics matter. 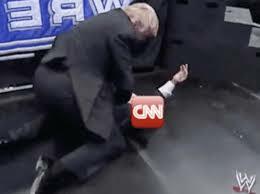 The thought of any statesman creating a Twitter video in which he is shown body-slamming a figure who represents CNN is incomprehensible, or at least it used to be. But that’s exactly what Trump did to celebrate CNN’s firing of three journalists based on bad reporting. The reaction was as expected for a country as polarized as ours. Detractors called it out, and some denounced the video as dangerous, warning it could incite attacks or threats against news media. Supporters lauded the move as “modern-day presidential,” citing Trump’s savvy use of social media. We don’t know if it was savvy, exactly, but it was provocative, and these are the kind of optics that work with his base. Face it, fans of the President only appreciate him when he says to his critics, But I’m president, and they’re not. Based on the boorish behavior and resulting negative optics of the three examples discussed above, it’s no wonder a recent poll shows that Americans feel civility is in decline. But it also may spur certain business leaders to opt for the aggressive or negative in a bid for a bigger spotlight. It’s incumbent upon PR professionals to reign in provocative behavior a client might attempt. Those who want to cause a stir on social media just for the sake of attention, for example, need to weigh the pros and cons. We have never agreed with the “any publicity is good publicity” maxim. Give a lot of thought before pushing an aggressive public posture; the potential for such actions to backfire likely outweighs whatever media attention garnered. Finally, on a lighter note, Disney’s famed “Pirates of the Caribbean” ride had been getting flack for years due to the “optics” of the ride. All those depictions of pirates leering at wenches was just so 19th century. Well, the Disney brass has listened, and the ride has been updated for today’s sensibilities. In addition to changing the scene featuring pirates chasing women around a building, the ride also got rid of the infamous “wife auction.” In a bow to feminism, the replacement scene features a female pirate auctioning off stolen gold and jewelry. So it’s clearly still okay for pirates to pillage and plunder, but not, as the famous song goes, “kidnap and ravage.” It’s all about the optics!